Thus far this has resulted in more than 200 million URLs being removed from Google’s search engine. While many of these takedown claims are legit, some are clearly false, censoring perfectly legitimate webpages from search results. File-hosting service RapidGator.net is one site that has fallen victim to such overbroad takedown requests. The file-hosting service has had nearly all its URLs de-listed, including its homepage, making the site hard to find through Google. Several other clearly non-infringing pages, including the FAQ, the news section, and even the copyright infringement policy, have also been wiped from Google by various takedown requests. 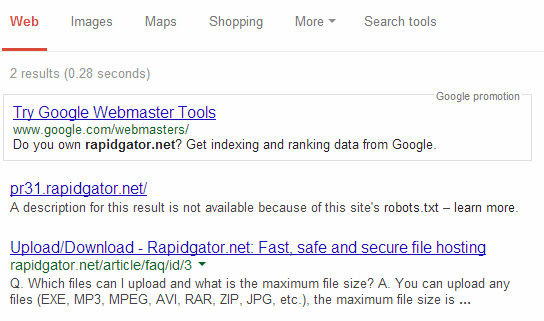 People who now search for RapidGator on Google will no longer see the site’s domain listed on top of the search results. Instead, the first result now points to RapidGator.org, which appears to be a RapidGator affiliate. RapidGator is one of the most visited file-sharing portals on the Internet, and the site believes it misses out on thousands of visitors now they have become invisible through Google. “We’ll lose thousands of visitors because of this action. This is not right. If it happens to us, it can happen to MediaFire or Dropbox tomorrow,” RapidGator’s Dennis told TorrentFreak. “Most importantly, it opens the door for phishing sites, who will register similar site name and mislead our users,” he adds. At the time of writing, only two RapidGator URLs are indexed by Google. The file-hosting service has submitted counter-notices for several of the false takedown requests, but thus far they haven’t heard back from Google. Interestingly, Google has processed takedown requests for millions of RapidGator links over the past months, even though the site only allowed the search engine to crawl a dozen of its pages. In other words, most of the RapidGator pages copyright holders ask Google to remove were never indexed by Google to begin with. “Our robots.txt forbids search engines bots to index any file/* folder/ URLs. 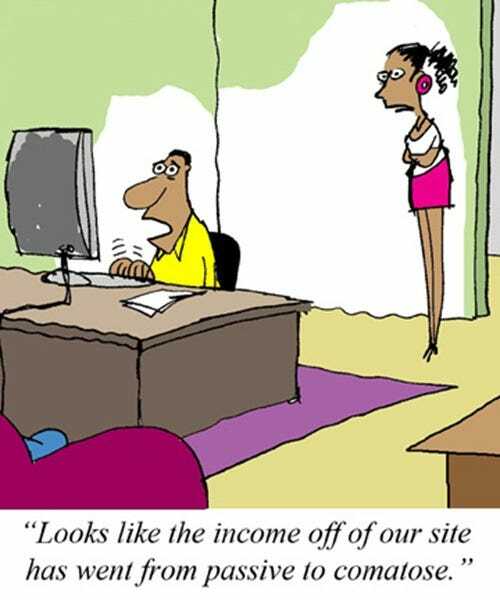 We only allow them to crawl our main page and the pages we have in a footer of the website. So most of the URLs for which Google gets DMCA notices are not listed in index by default,” RapidGator’s Dennis explains. RapidGator hopes that Google will eventually reinstate the homepage listing, as well as the other pages that have been removed without basis. This is not the first setback for the file-hosting site this year. Last month an Italian court ordered local ISPs to block RapidGator to protect the rights of a movie distribution company controlled by former Prime Minister Silvio Berlusconi.